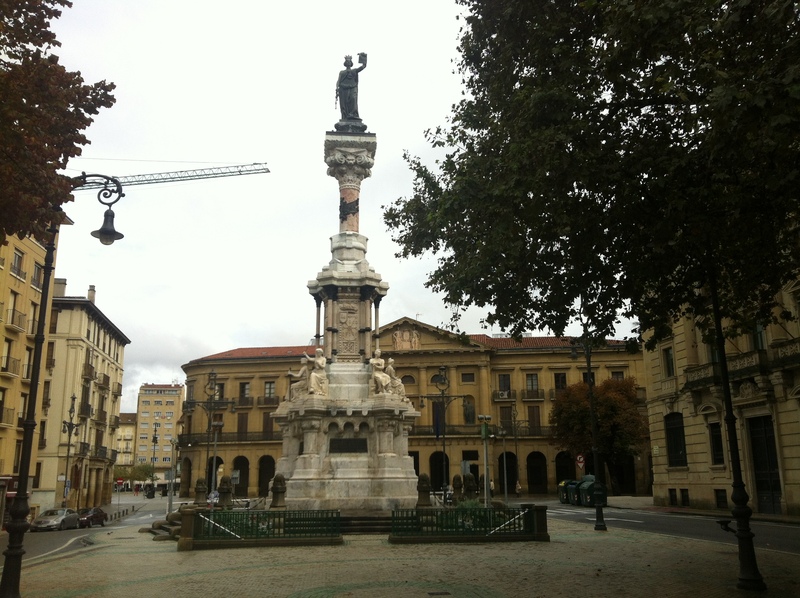 We travelled from San Sebastian by coach at midday and arrived in Pamplona at about 1.45pm. 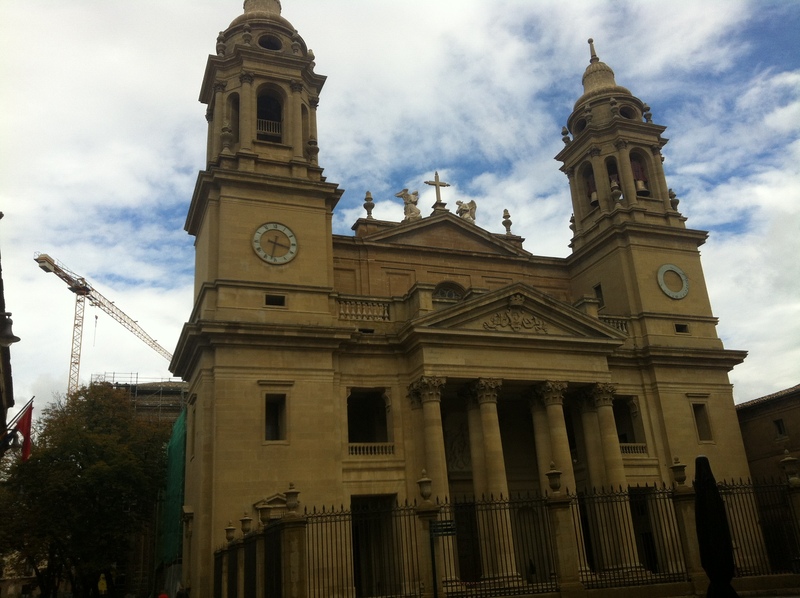 This was another new city for the orchestra to tour to, on the third day of the RLPO Spain Tour 2012. 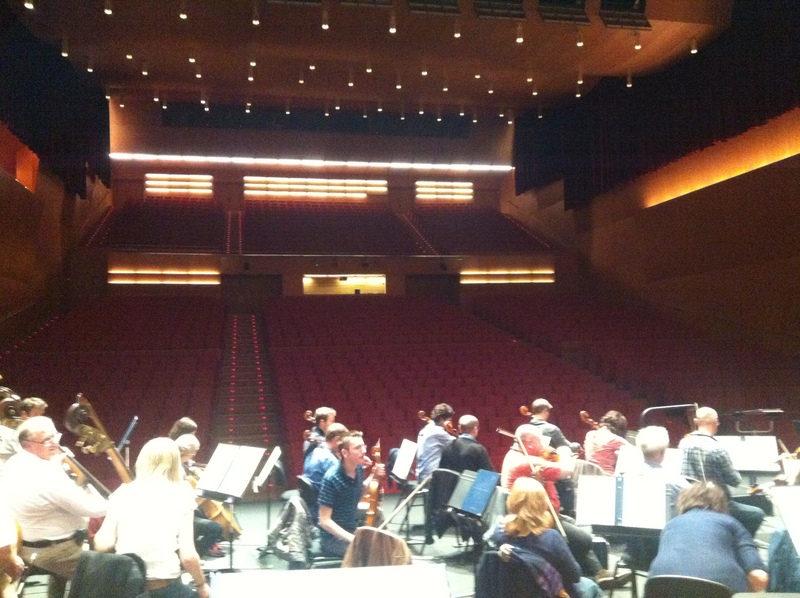 I always enjoy playing in a new foreign city. There is always something different to experience and new life to live. 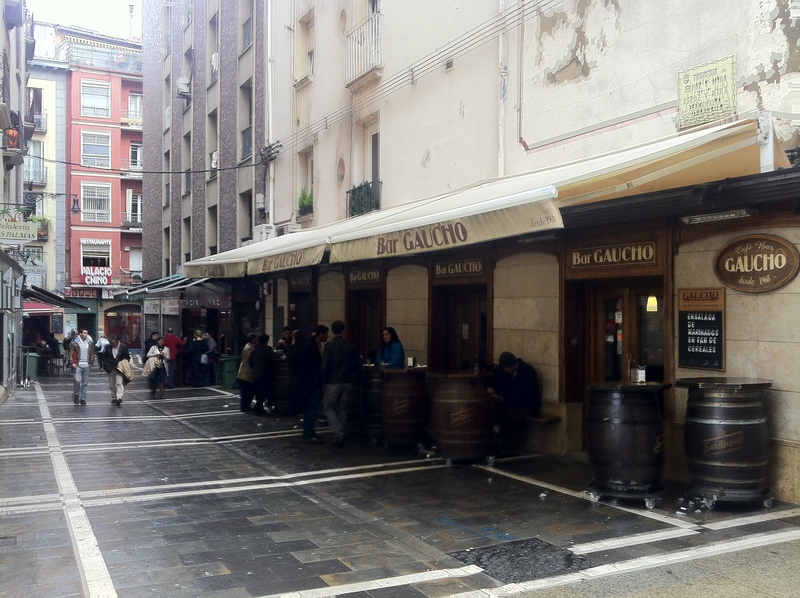 This place had the reputation of being both a beautiful and exciting city. 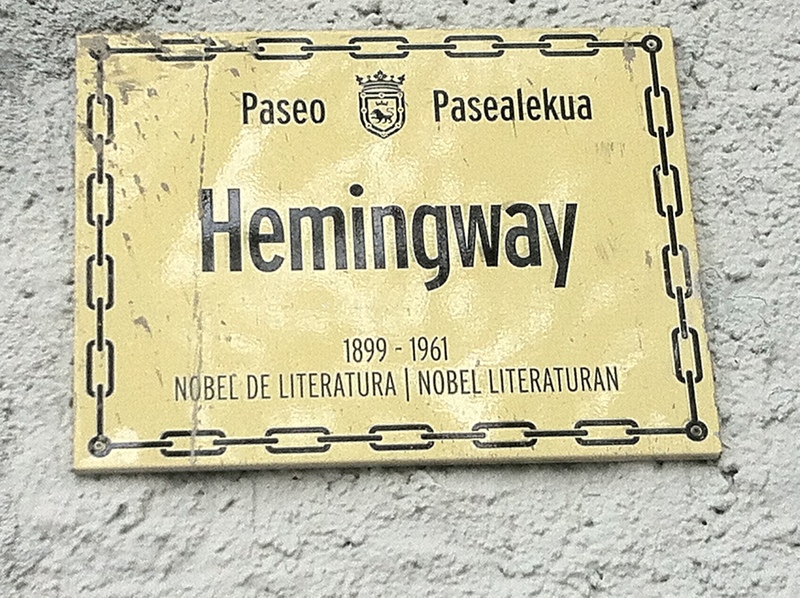 Indeed, Ernest Hemingway had made Pamplona his home. The hotel was nice, once again and the map told me that the concert venue was about 15 minutes or so walk from the hotel, through some beautiful park land. 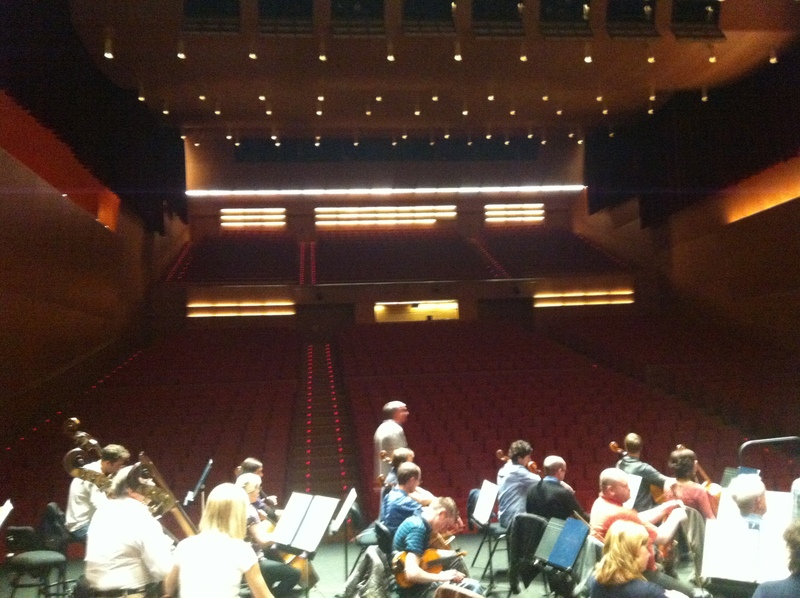 I had two hours to kill before the rehearsal at 4.00pm. 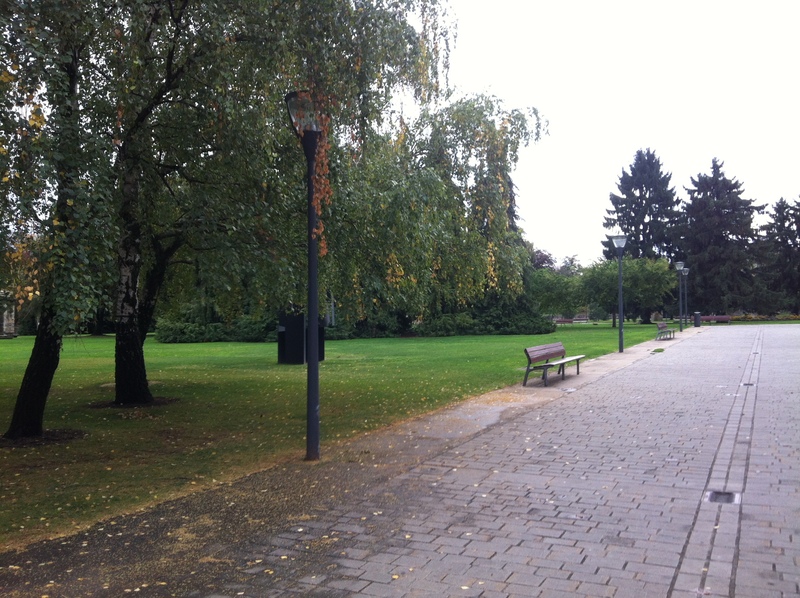 It was still raining plenty, but I thought I needed the exercise and the fresh air so I set off. 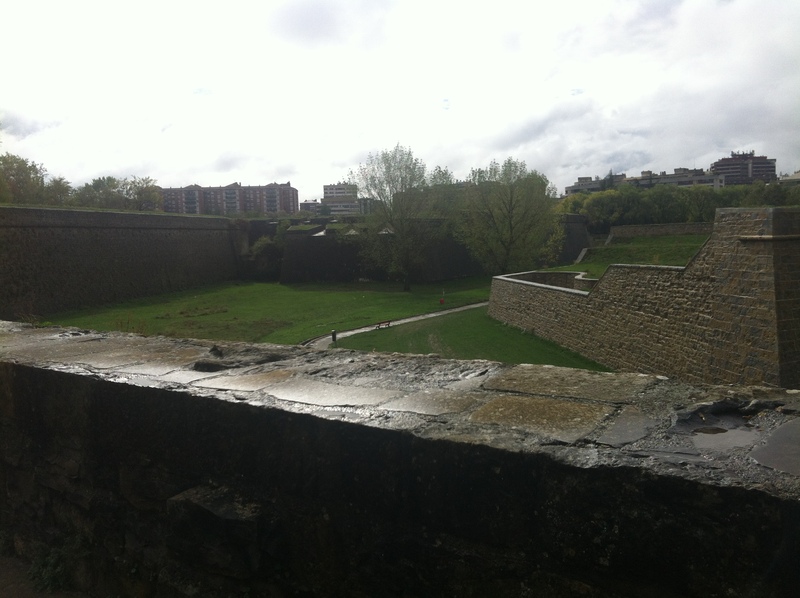 I walked past some really nice parkland and an old citadel containing a moat & castle etc. Built in 1767 these ruins have been partly restored and making a very interesting diversion. 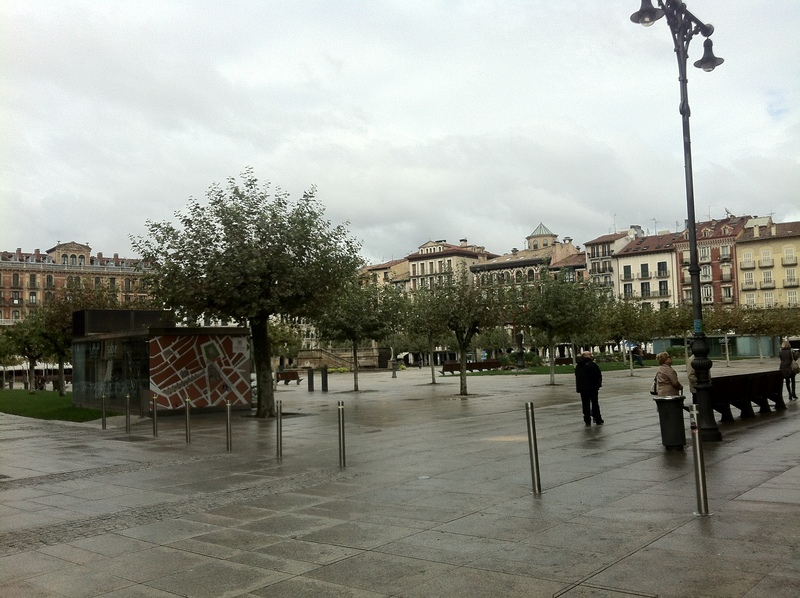 This was immediately next to the concert venue, the new Auditorio Baluarte de Pamplona. 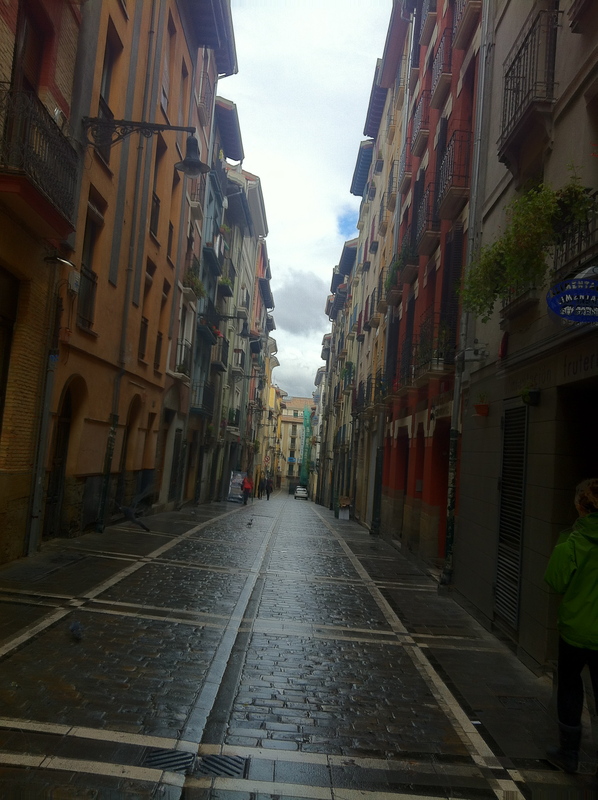 I still had time to kill so I wandered past the concert hall and found the beautiful Old Town. 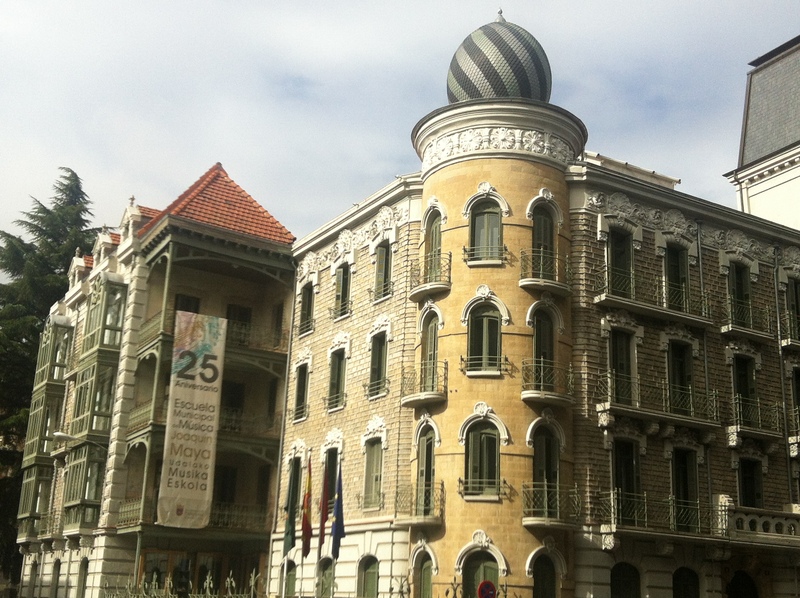 little winding streets led to grand squares and impressive architecture. 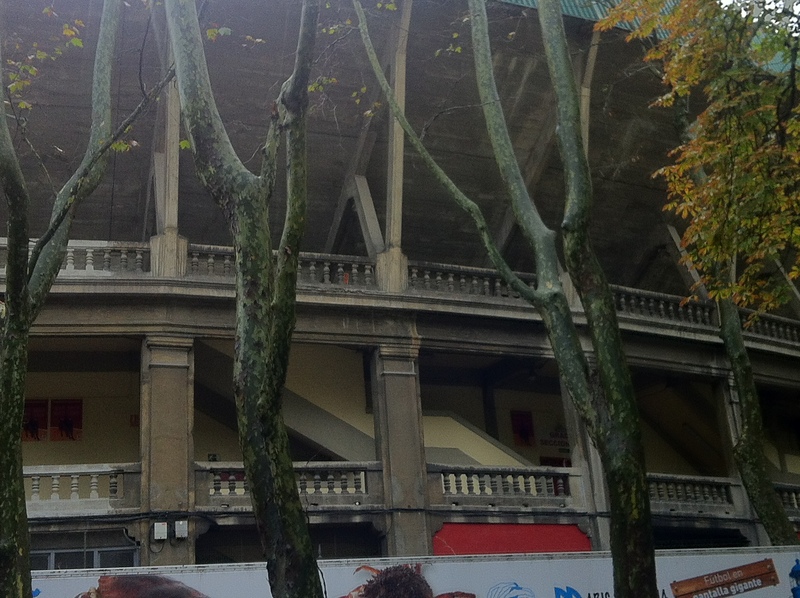 A little further on and I stumbled across the extremely impressive bullring with the street named after Ernest Hemingway and a bust to Hemingway placed prominently at the front. 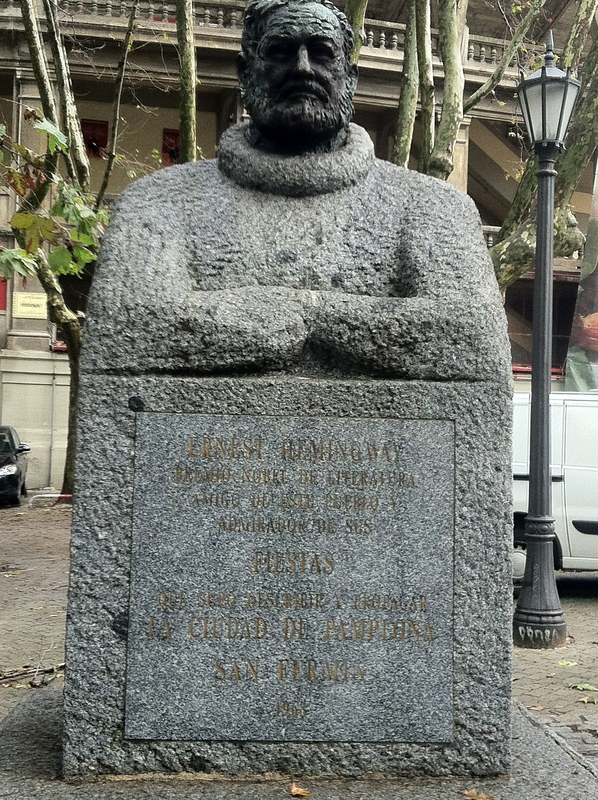 Apparently, he was a fan and attended to bull fighting regularly. 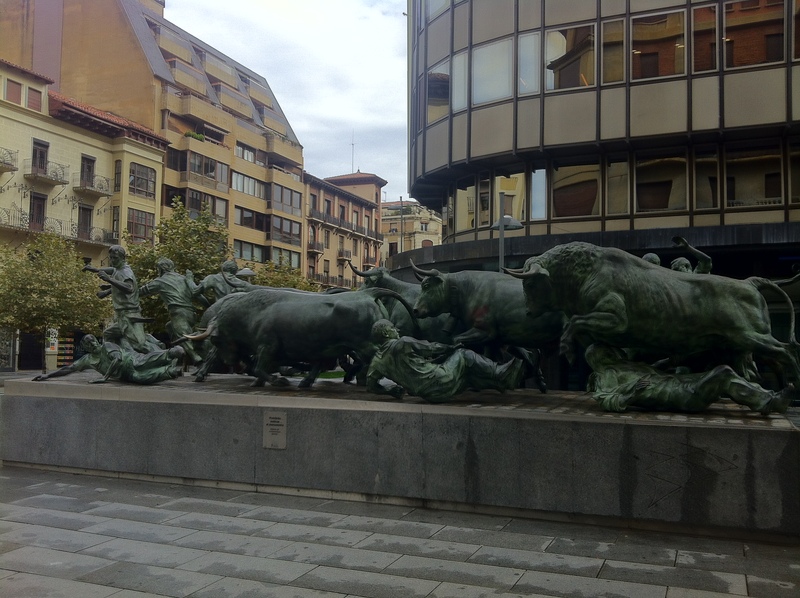 Of course, most have heard about Pamplona for it’s crazy ‘bull run’ through the streets were humans run alongside rampant bulls as they are charged through the streets. 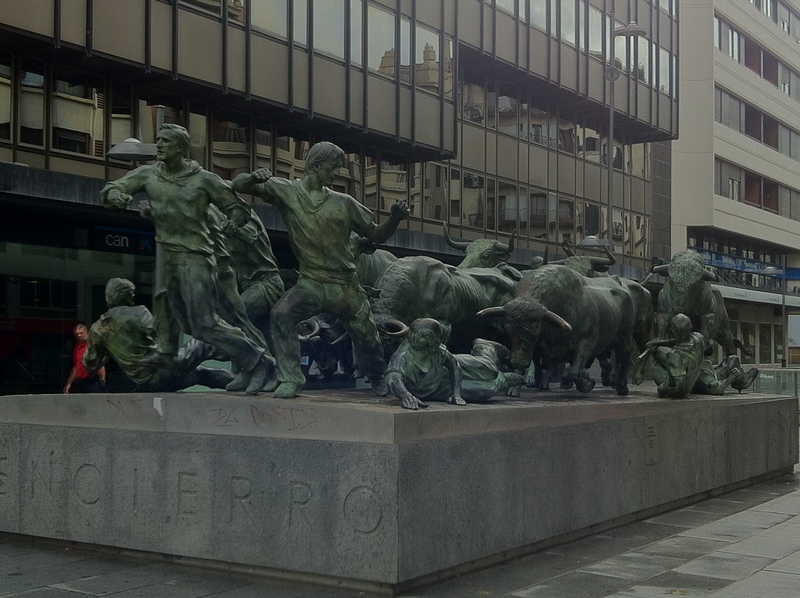 Apparently people are regularly trampled, gored and crushed to death during this famous event. 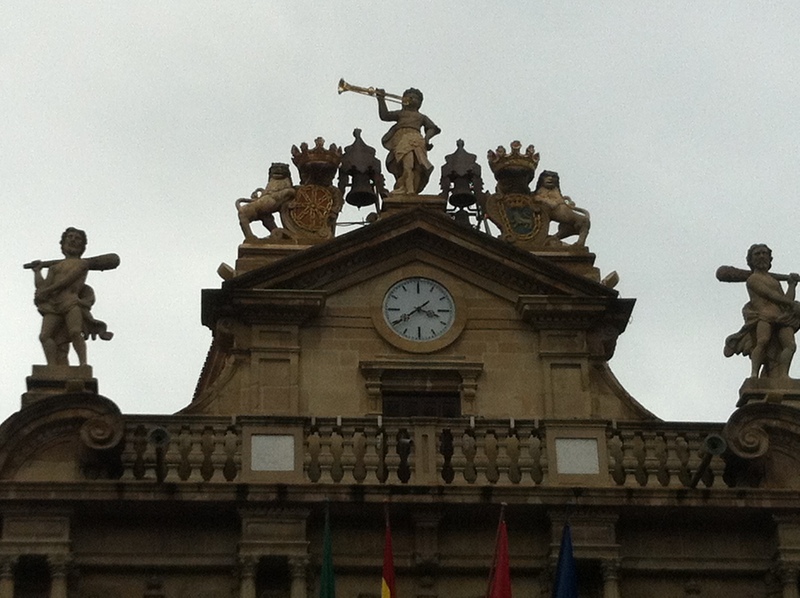 I wandered a little further down those lovely streets and came across a beautiful cathedral and an old government building with a statue holding an impressive natural trumpet aloft. 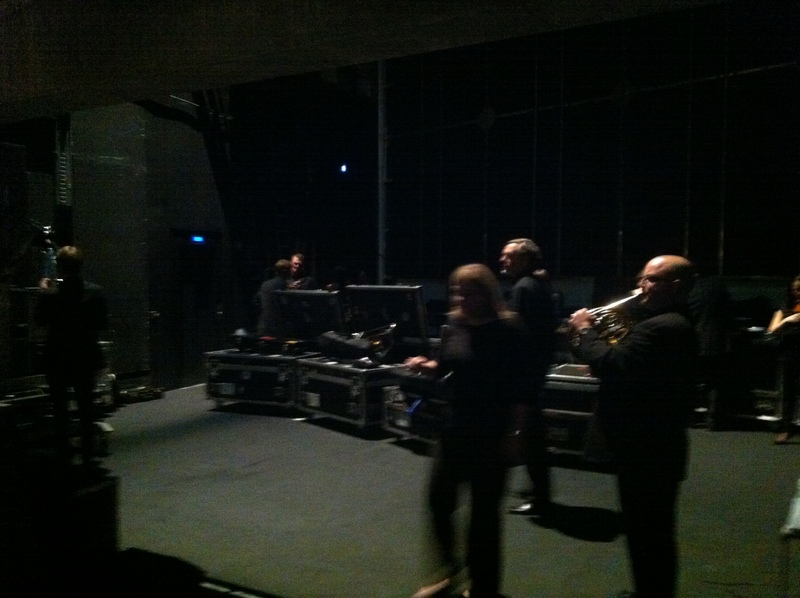 Ten minutes to go before the rehearsal so I headed back. 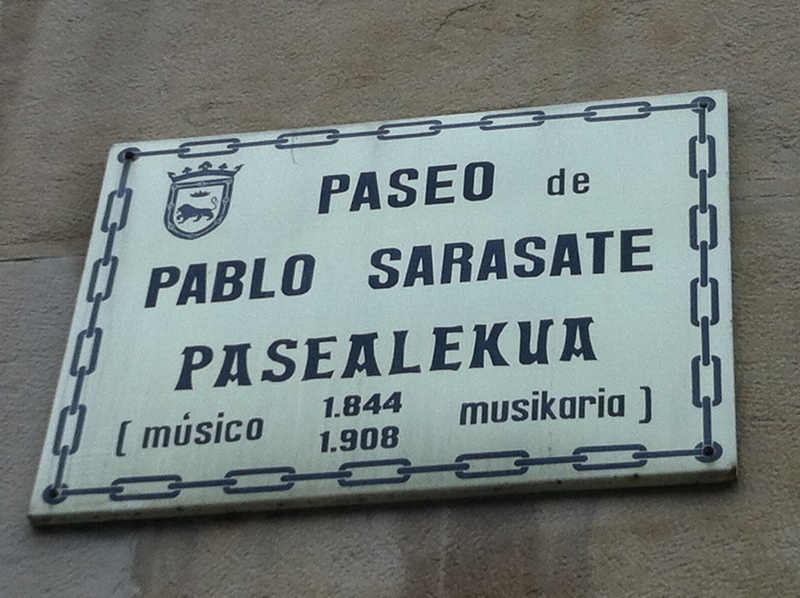 The route a took back to the hall took me down Pablo Sarasate way, a native of Pamplona. I didn’t know that! 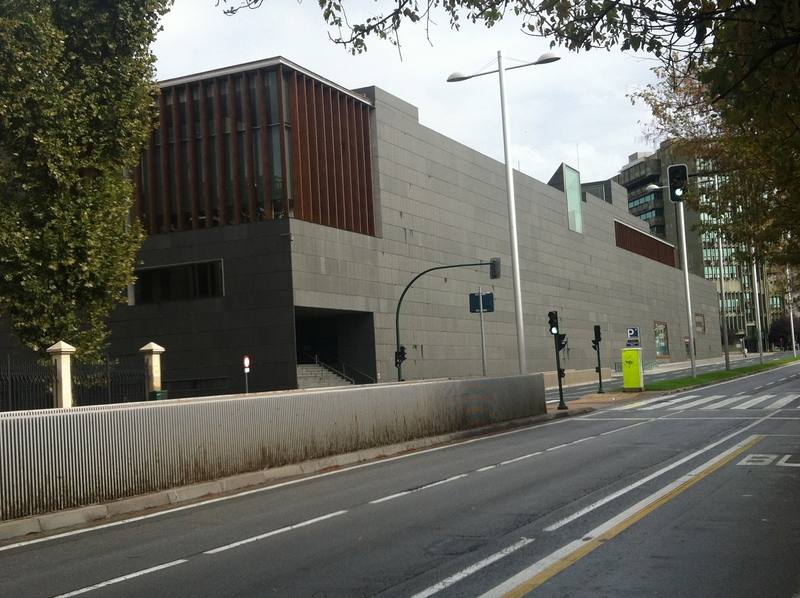 The Auditorio Baluarte de Pamplona is an impressive modern building and the only one on this tour where the salon resembles the traditional shoe box style of our own Philharmonic Hall in Liverpool. 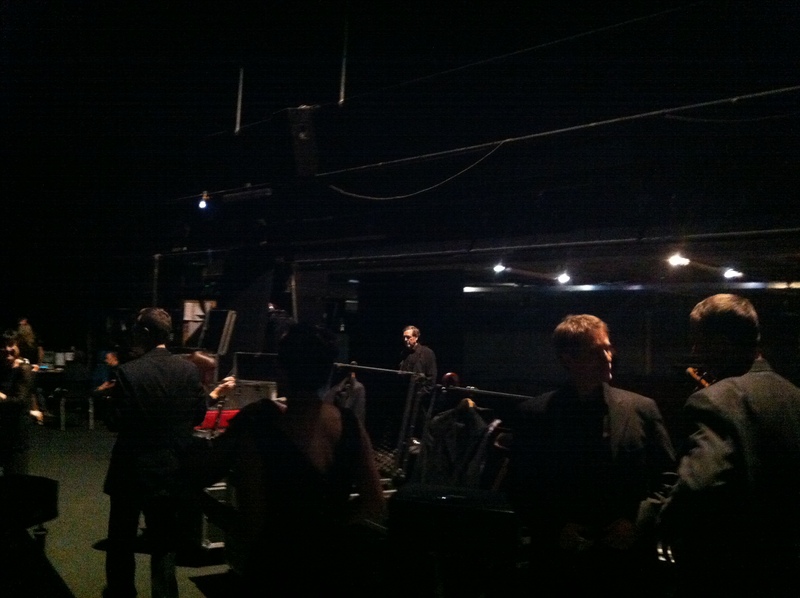 Once again we found fantastic back stage facilities. 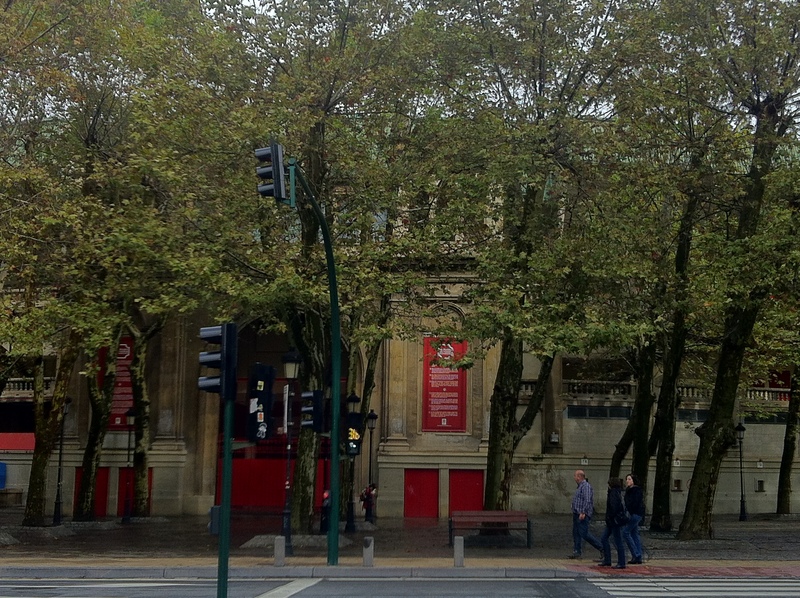 On the other side of the auditorium was the city Music Conservatoire. What a fascinating building. 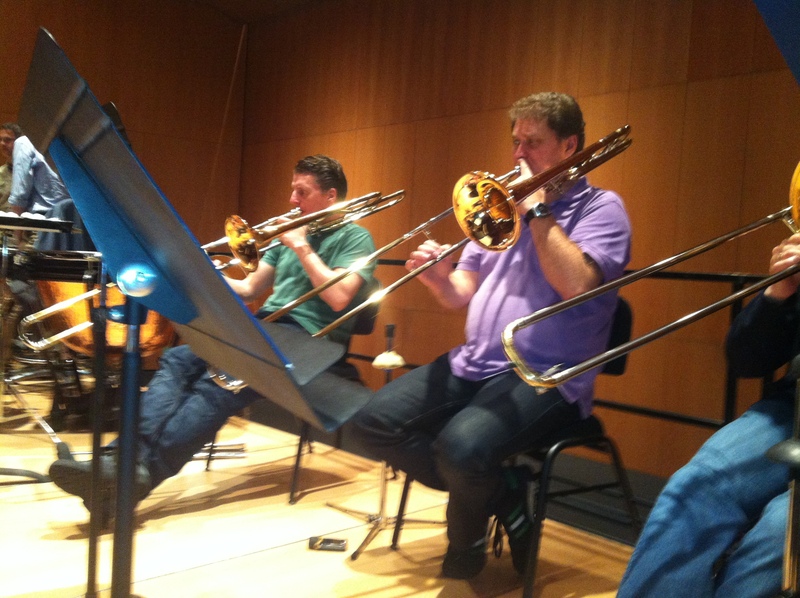 This was another one hour rehearsal. 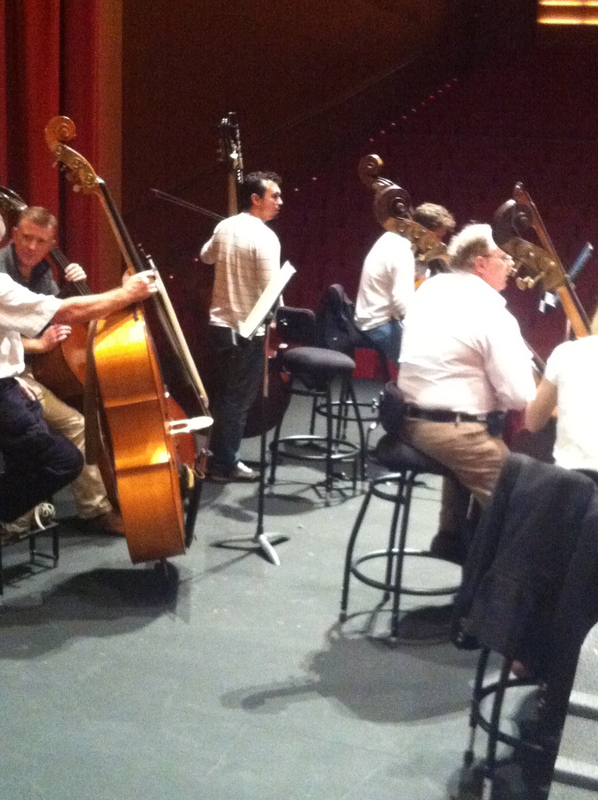 At this stage only the acoustic needed to be tested and just a quick tickle through of the Brahms 2nd piano concerto. Not a bad acoustic either! Perhaps something a little more familiar to the RLPO. After the rehearsal, one or two members of the RLPO were starting to feel the furious pace of this whistle stop tour and were getting a bit of extra shut eye. 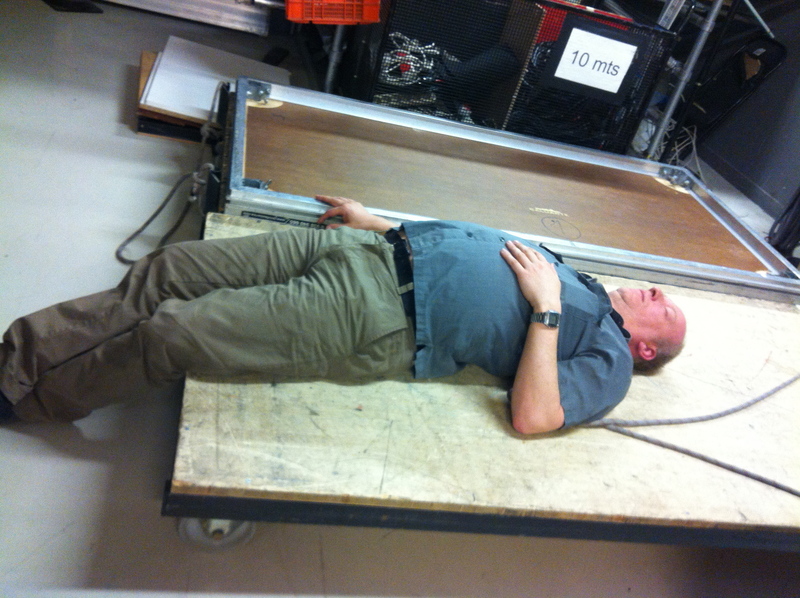 I was feeling a little jaded myself but sometimes matters can feel worse for having a nap in the late afternoon. 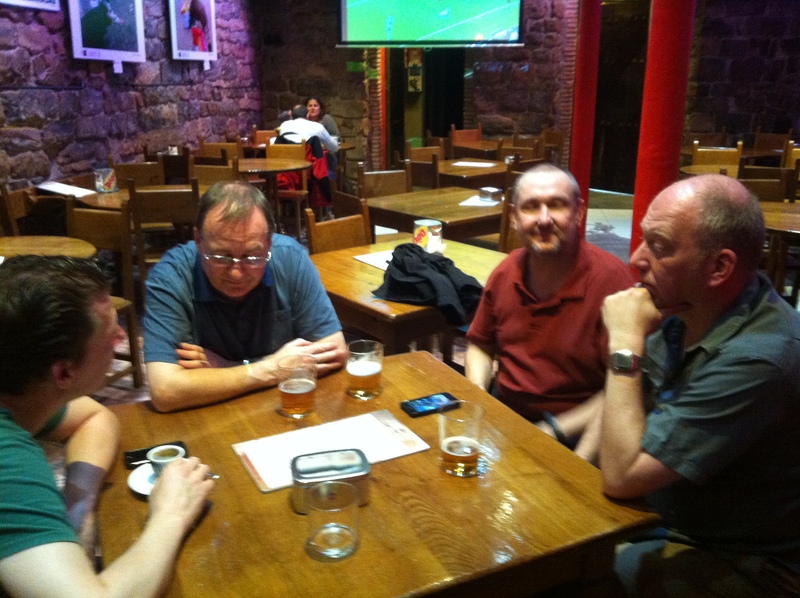 One of the brass section had found a particular affinity with a bar in the old town at lunchtime, so several of us went there. 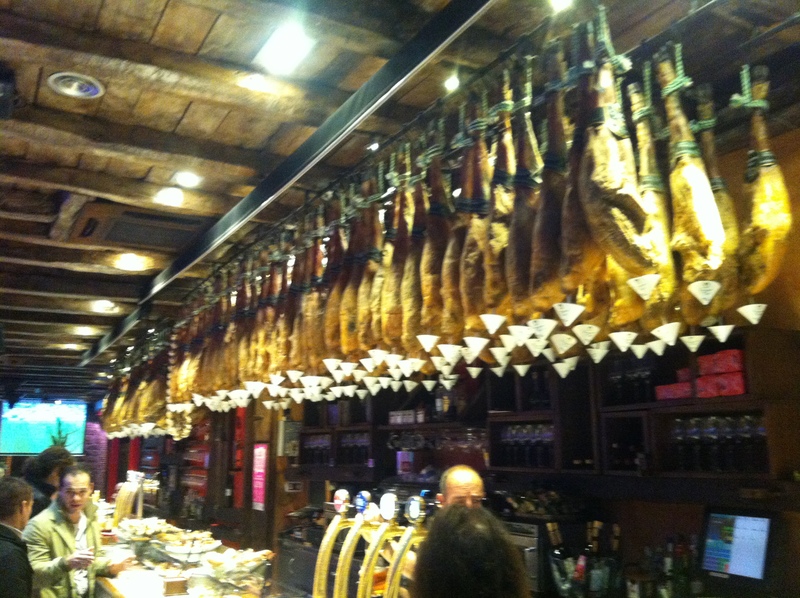 Once again the theme was bull fighting and bull running but the food was great and look at this jamon. Here is a new one for many. I don’t suppose that many have noticed that most concert grand pianos are finished in matt black. One of the reasons for this is the effect on the orchestra when powerful stage lighting is shining down when the piano lid is up. 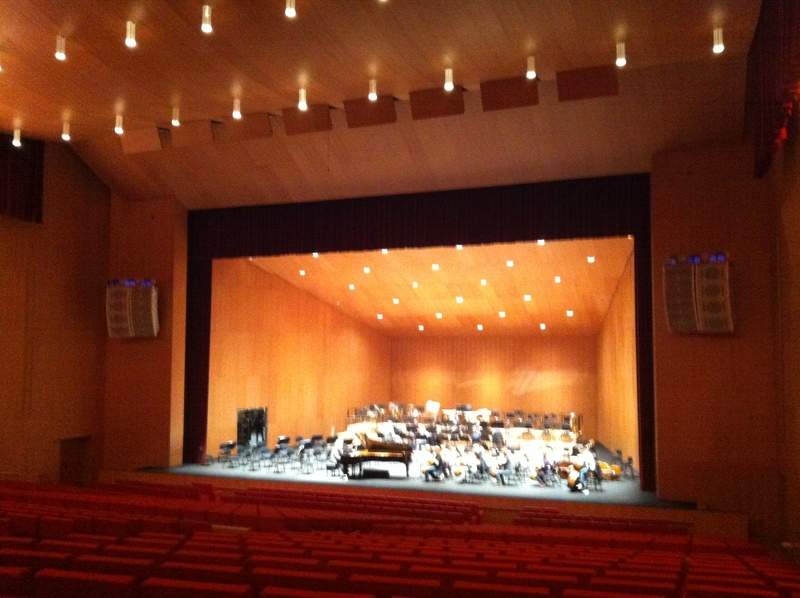 During the rehearsal the piano lid was dazzling those at the back of the orchestra so that they could not see Vasily Petrenko. 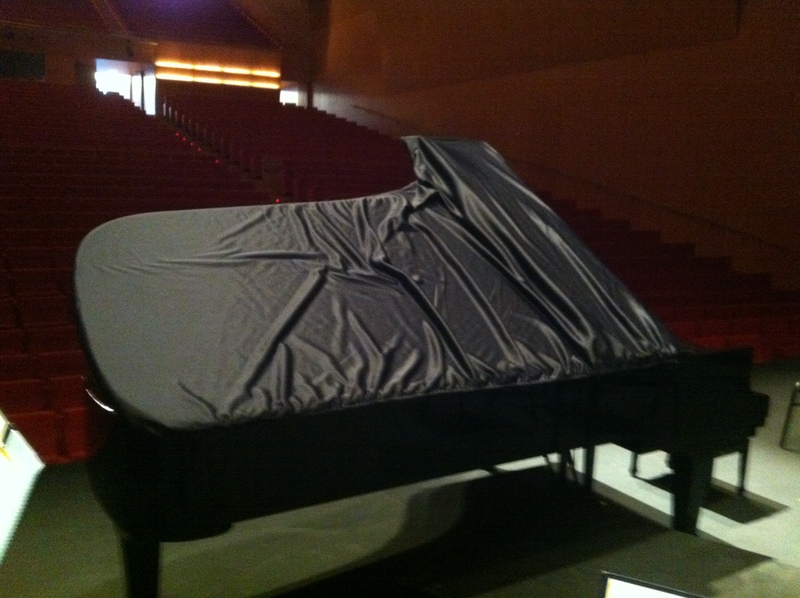 A cover had to be stuck to the topside of the lid for the performance. The time for the concert came. Once again the applause was rapturous and encores ensued. 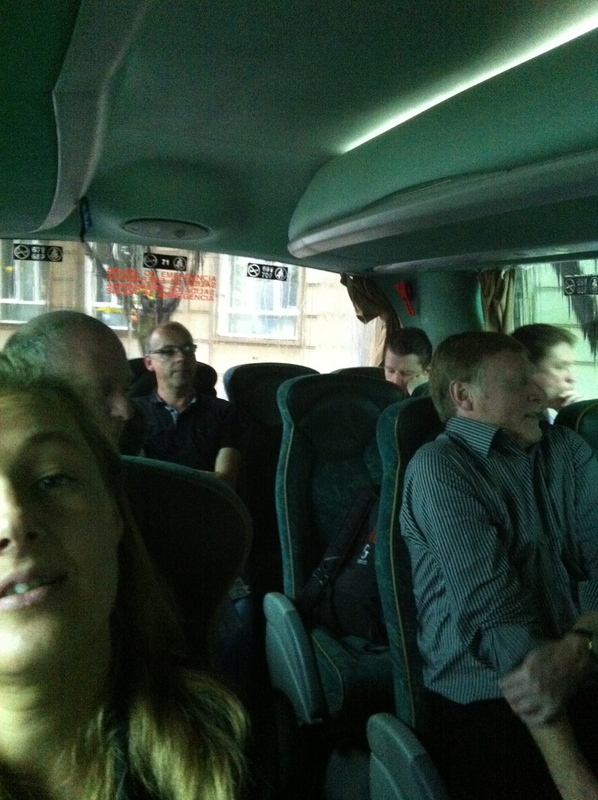 Many individual players were stood up for ovations by Vasily, to the sound of cheering. 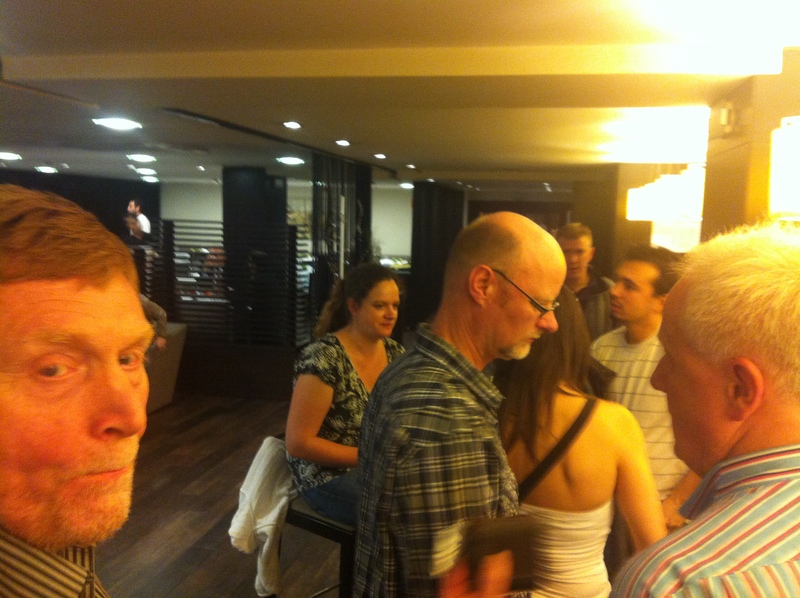 The hotel bar in Pamplona – after the concert! 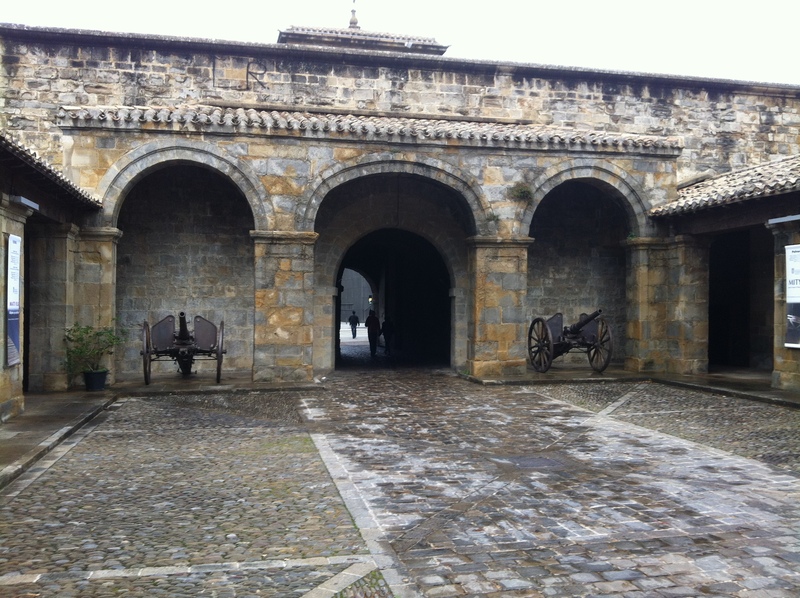 This entry was posted in About Brendan Ball, The Tour Blogs & Brendan's Solo Blogs and tagged Auditorio Palacio de Congresso, Bull Run Pamplona, Bullring Pampolna, citadel Pamplona, Ernest Hemingway, Olga Muszynska, Pablo Sarasate, Pamplona, Pamplona Cathedral, Tim Nicholson. Bookmark the permalink. 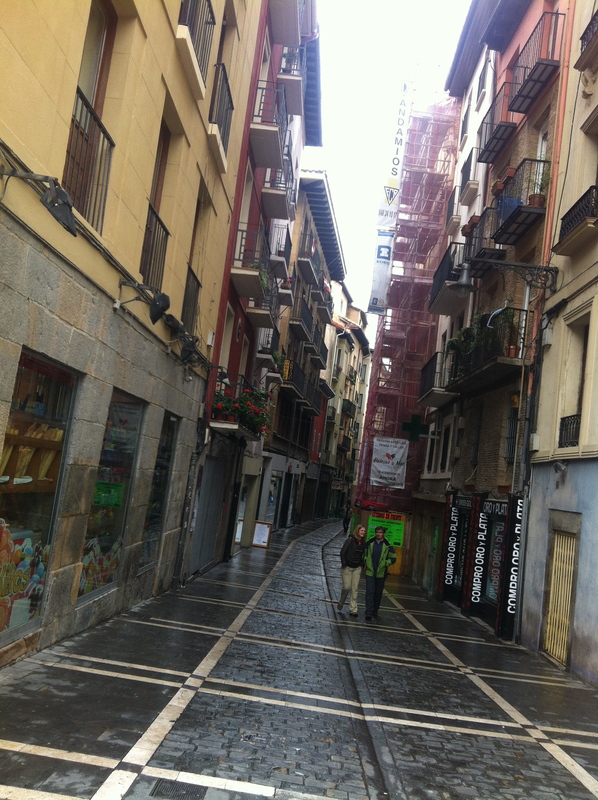 Great blog, Brendan, love all the pics and info as well as the tales of touring. 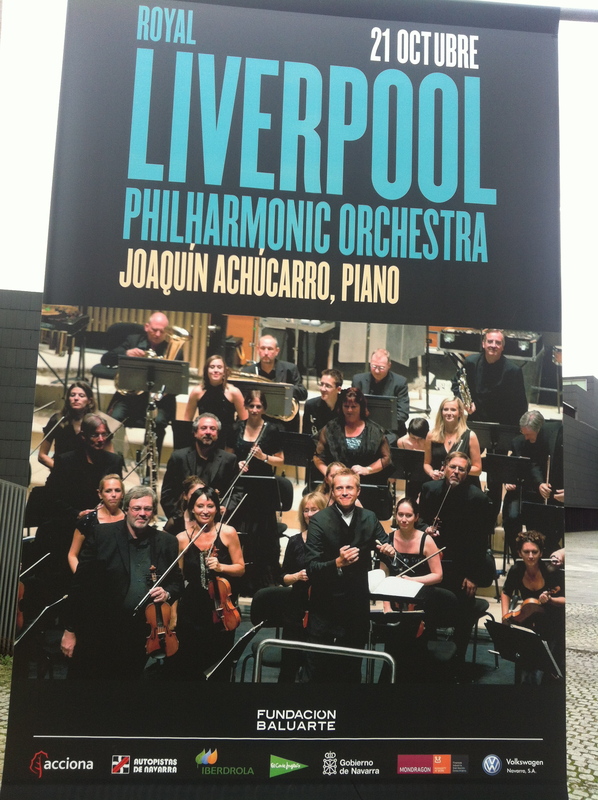 Sounds as though it was a fantastic tour, and I look forward to finding out more when I see you in a couple of weeks for our Pirate Concert. How do you say “aaaaarrr” in Spanish?! !